Here’s the first entry in our trip diary. We’ll post the story of our adventures here. This is a photo of our home for the next 6 to 12 months. It’s a 1957 Yellowstone that sleeps 4 and has a kitchen and shower. We named it “The Tramper” because of a slip of the tongue. 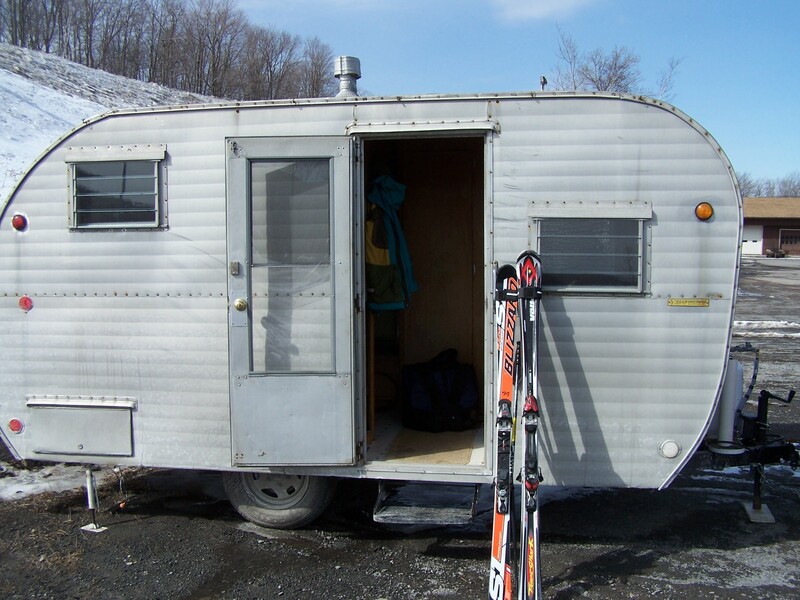 We never did decide whether it was a “camper” or “trailer” and, more than once, our indecision came out as “tramper”. So, “The Tramper” it became and we hope what will follow will be fun and amazing!